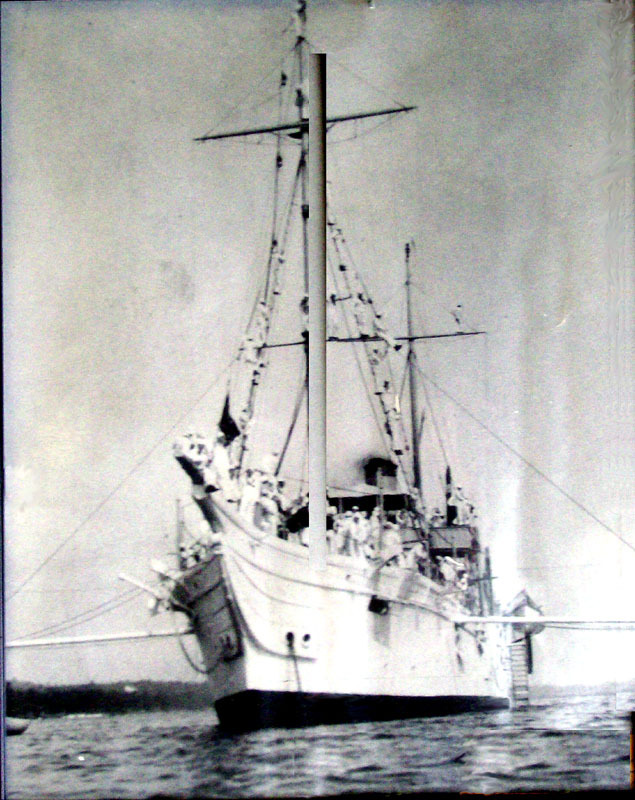 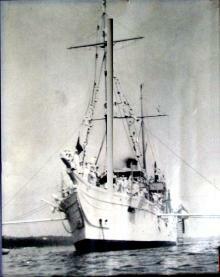 USNR Yantic, a USNR Training Ship used on the Great Lakes at the turn of the twentieth century, and likely a bit prior, training Hancock Reservists in the Keweenaw Waterway. 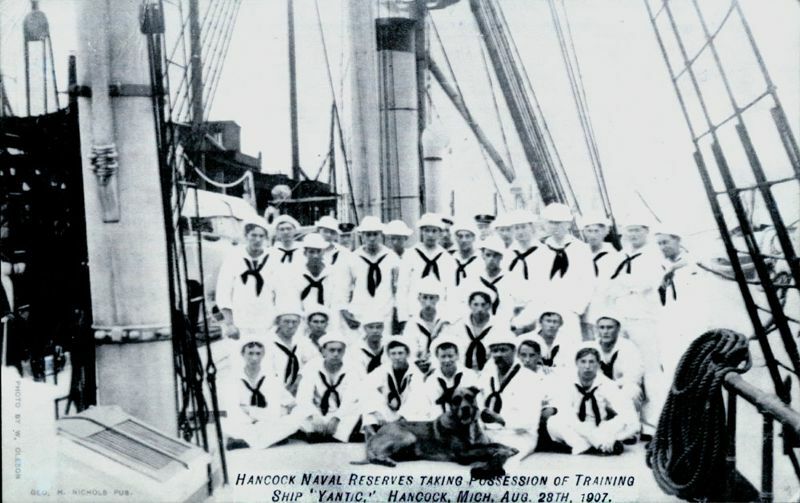 USNR Yantic, apparently was turned over to the Hancock Naval Reserves for their sole use on August 28, 1907, according to the inscription on this photo. 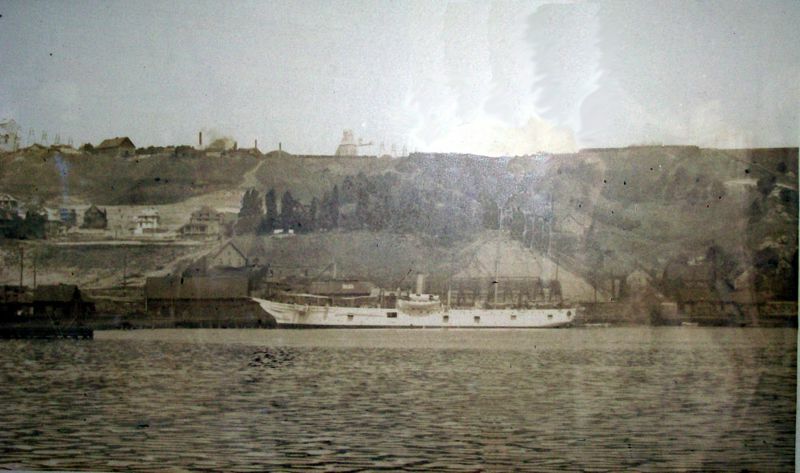 The ship was docked just East of the Bridge, as per this photo. 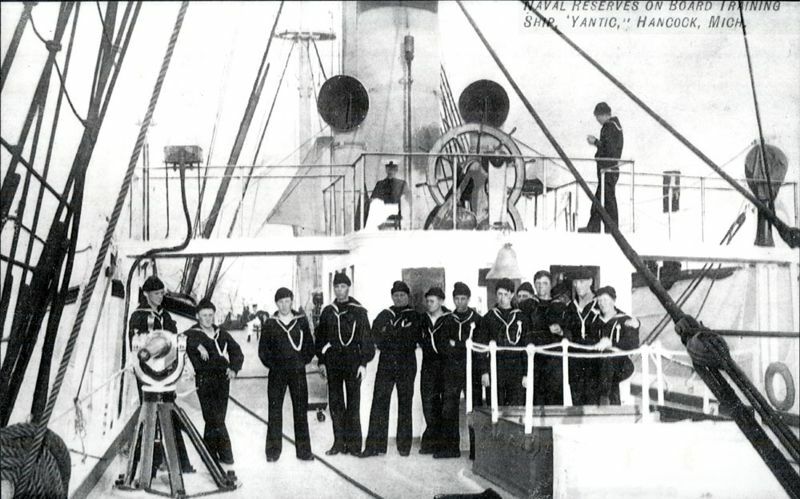 Here the ship is underway for a training mission, circa early 1900's.